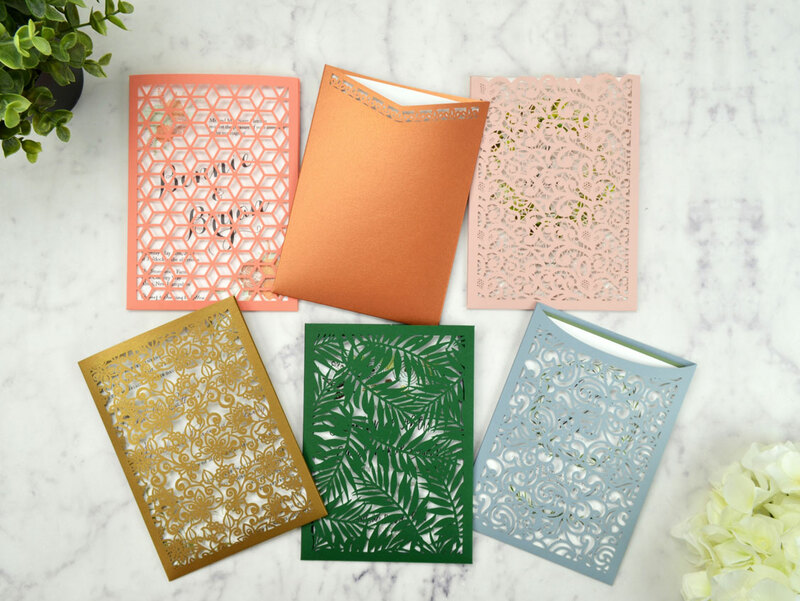 Our Laser cut cards are made on premium papers and are an easy and affordable way to make your invitations more memorable and elegant! Secure all of your beautiful cards in one pretty package. 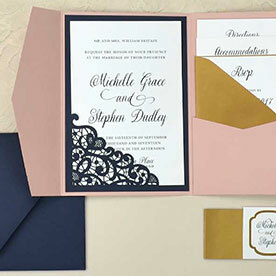 Our invitation sleeves can hold your invitation, enclosure, and rsvp envelope in a neat and secure way. Over 25 designs in 70+ colors! 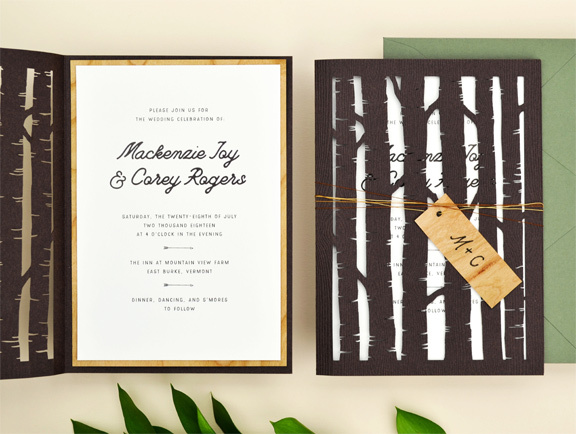 Turn any invitation into a laser cut invitation. These simple yet beautiful cards act as a frame that you can slide your card into. A great way to add interest and a pop of color. 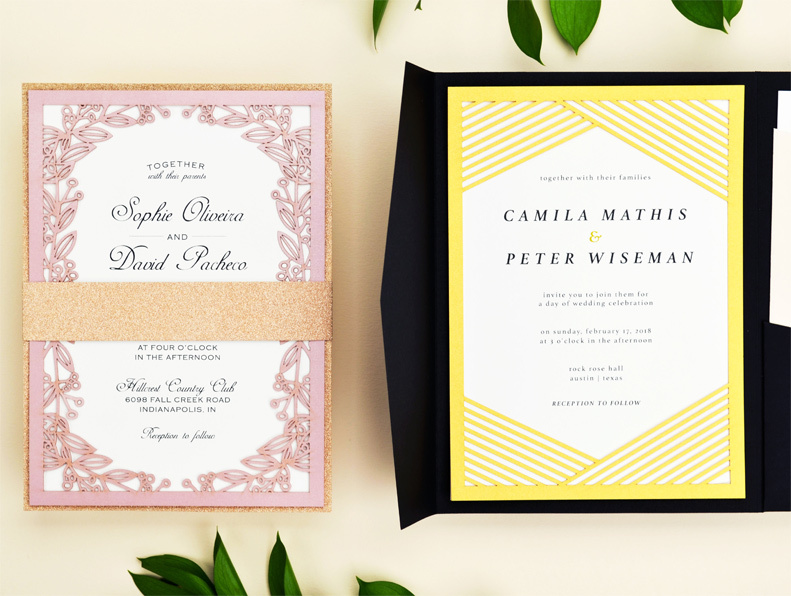 Frame your invitation in style. 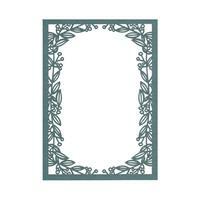 These elegant frames can be adhered on top of your invitation to really make your design stand out. 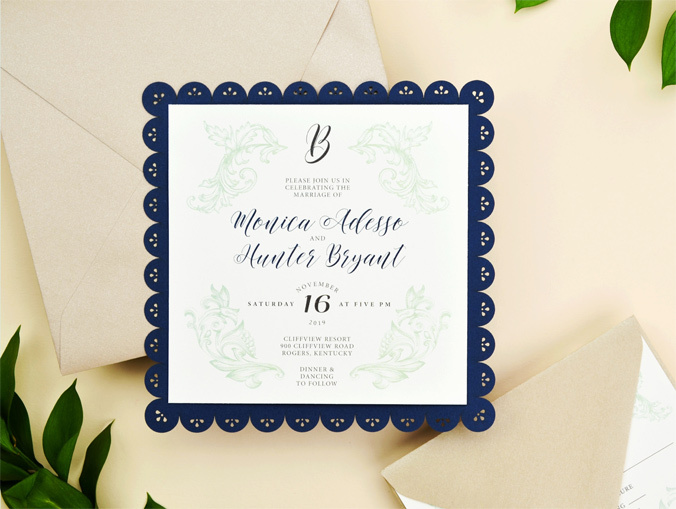 Accessorize your invitation with a laser cut border. 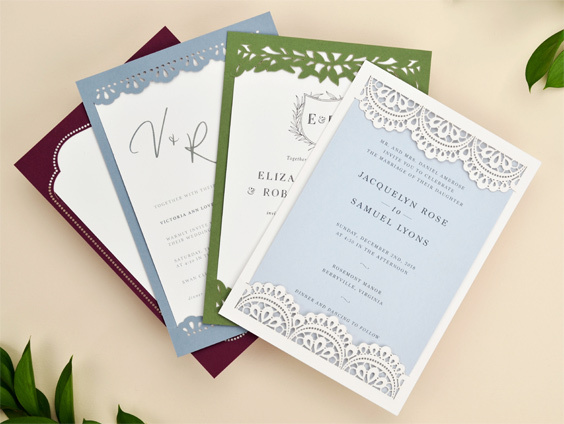 As panel cards they can be used as your main invitation base or as mats they can add a pretty layer to your suite. Laser cut folded and gate cards can create a real impact. 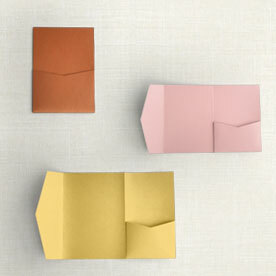 Use these cards as invitation wraps that will make the recipient not be able to wait to open!